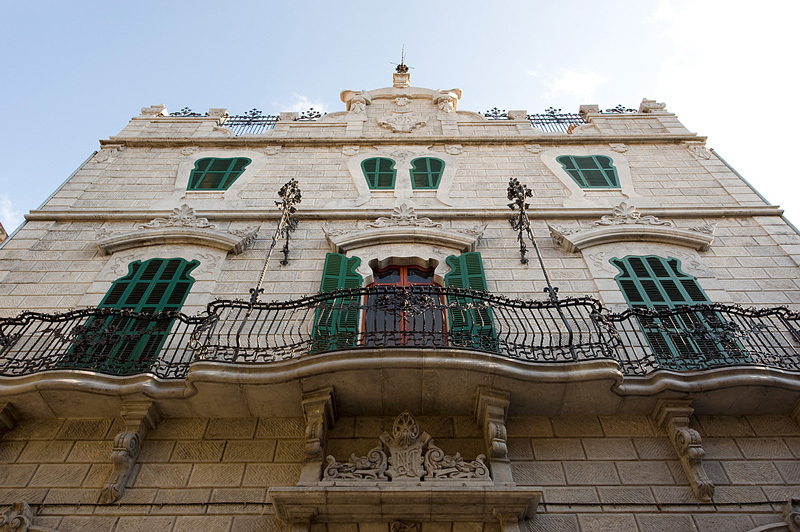 There is another small museum which has recently opened in Mallorca which offers a delightful focus to a visit to the town of Soller, nestled in a grandiose valley beneath towering mountain ranges, to the north of the island. Can Prunera is a small museum of modern art, housed in a refurbished Modernist building built between 1909 and 1911, in the era when Antoni Gaudi's influence was paramount. Many of the restored details of the house are delightfully typical of that time. Gaudi had indeed been working in Palma, restoring and improving the interior of the Seu, the wonderful Gothic Cathedral overlooking the sea. He had started work there in 1902 but by 1914, he had fallen out with the ecclesiastical authorities and stopped the work. His influence, however, showed up in many Mallorcan Modernist buildings, and especially in Soller. Can Prunera houses part of the art collection of newpapers owner, Pedro Serra, who has been instrumental in the refurbishment and launching of the museum through his Fundacion Tren de l'Art and Fundacion d'Art Serra. His father apparently worked for the Soller-Palma train company for a time, and his son has completed this circle in time. The day I visited the Museum, only a few rooms were open. Miró acquatints gladdened three galleries, and a collection of Picasso ceramics was exhibited in two other galleries. The connections between Picasso and Miró were underlined by big photo reproductions of the two of them together on different occasions. Apparently, most of the art planned for exhibition will have some connection with Mallorca.